Instagram is my happy place. I open my feed to escape from the real world, to forget about current events, to fill my heart and soul with beautiful things that I want to look at for hours on end. 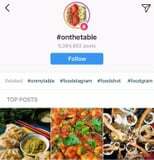 It's for this very reason that I jumped for joy when I found out that as of Dec. 12, Instagram users will no longer be limited to following people and places - you now have the power to follow hashtags, too. While it may seem like a logical extension of the Instagram app, it's actually a total and complete game changer. 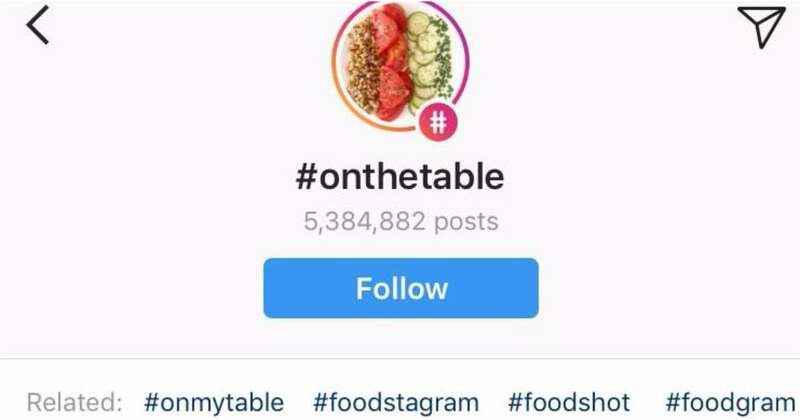 No longer will you have to aimlessly click through profiles until you find what you're looking for; instead, all you need to do is type one hashtag - an interest, a hobby, a passion, a place - and from there, an entire world of images and videos is right before your very eyes. A hashtag will no longer be an aimless branding tool, instead serving as a gateway to more of what you want to see, more often. There's even a "related hashtags" section that will keep you clicking in the right direction any time you open the app. Ahead, we've broken down how the feature works - but it's important to note that following a hashtag doesn't mean you're tied to it for life. The best thing about the new feature, overall? It encourages exploration of new areas you never knew existed, while at the same time letting it be a wholly noncommittal (and oh so enjoyable) experience. And at the end of the day, that makes us love Instagram all that much more.